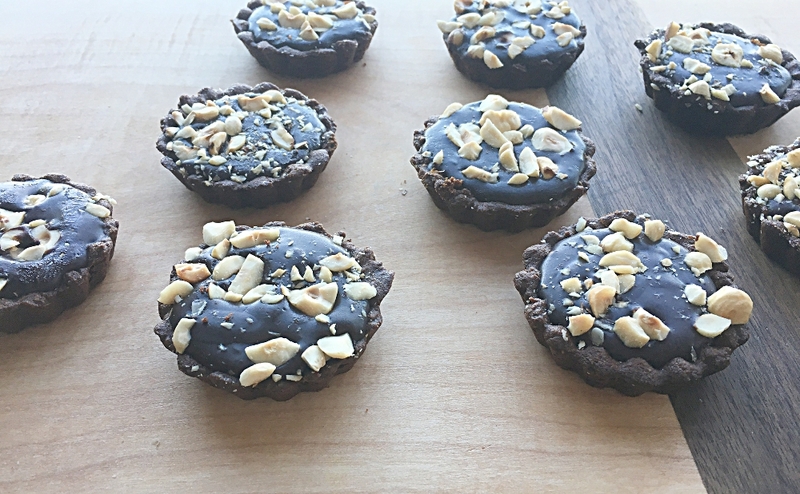 Salted Chocolate Hazelnut Tarts have a rich dark chocolate 3 ingredient ganache filling that’s so easy to make, encased in a chocolate grain free flaky crust. You may want to eat the whole batch BUT I recommend sharing. 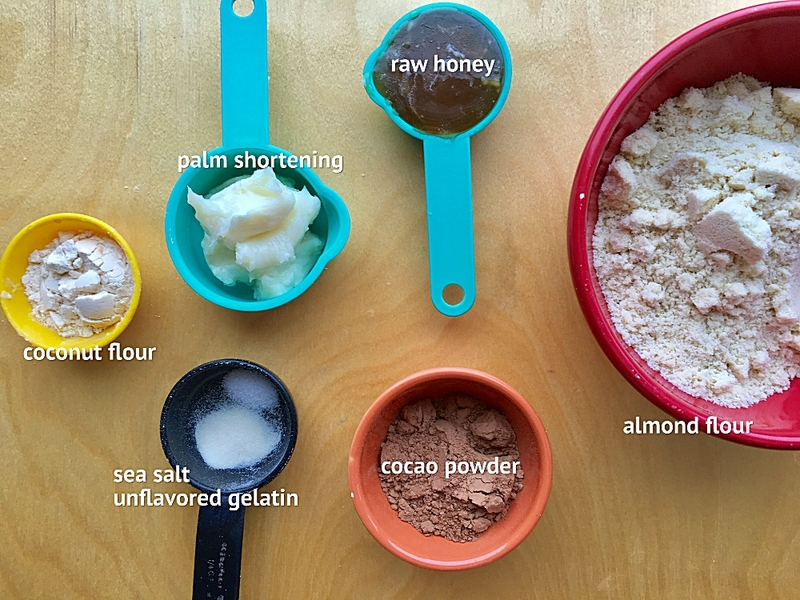 These are the filling ingredients…including this unflavored gelatin and I bought it here. 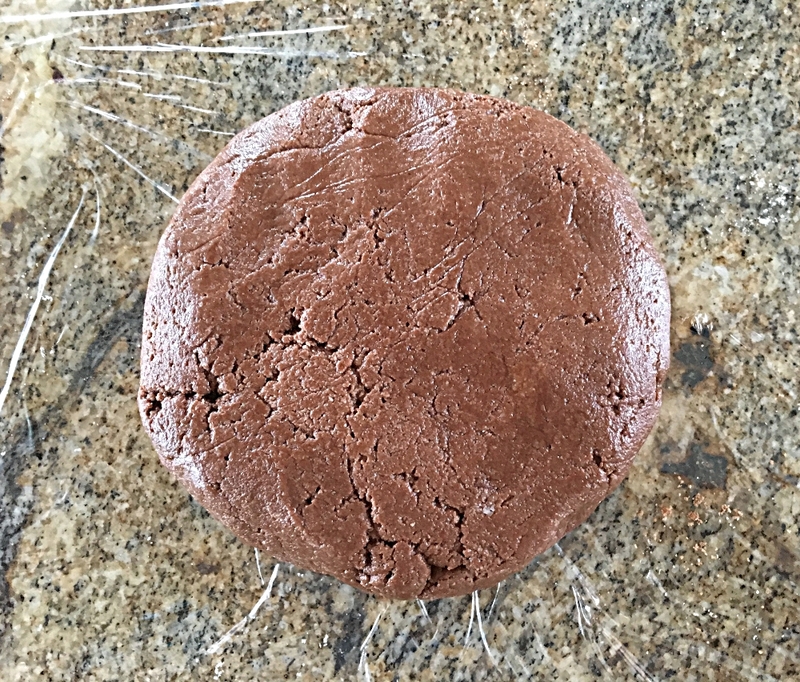 It helps the consistency of the ganache and boosts the nutritional value of these decadent treats. 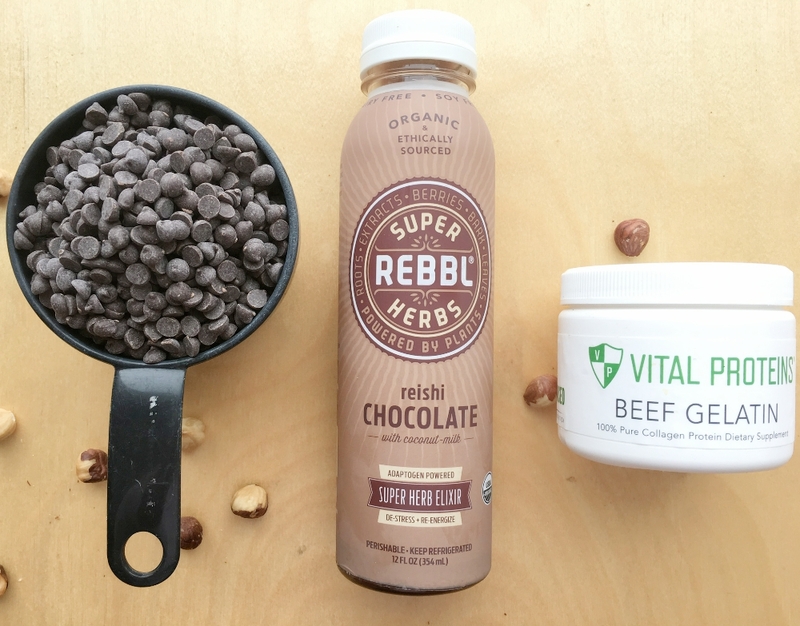 However you may find a brand at your local natural grocery store that would work well also. I have been a bit of a scrooge these last few Christmas’s, not making many treats. Before you feel sorry for my family…I do make this NOT gluten free, NOT sugar free or dairy free, totally indulgent conventional chocolate peppermint roll birthday cake for our adult family Christmas. 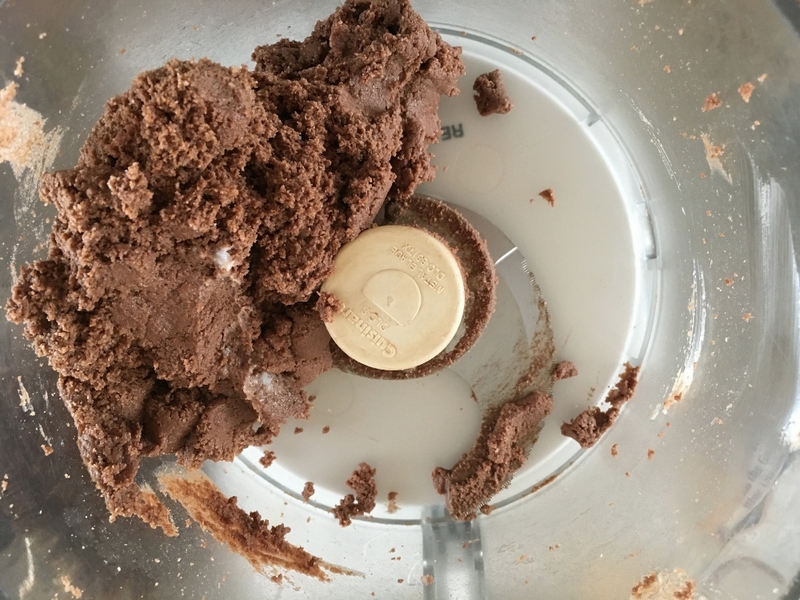 Okay…back to the tarts- the crust is made quickly in a food processor. Truth be told, chocolate is a serious trigger for me and while I love it like you all do, I’d rather not have it in the house because it’s too easy to indulge and I feel awful after the fact. 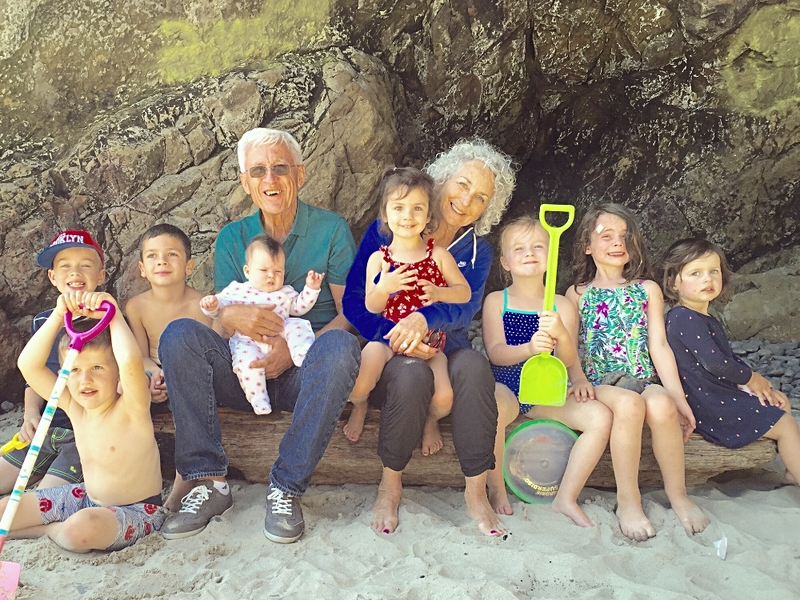 After many years of thinking I was making the right choices for my health (working out and eating healthy) I finally figured out what keeps inflammation down, how to stay at a healthy weight and have the energy to keep up with these characters who I love, love, love…and can’t get enough of. Thank you to the whole30 reset I did which clearly revealed so much to me about my health, my body and food. I currently have kept extra pounds off, have increased energy and my blood tests numbers have improved . Which means…keeping treats to a minimum. Very hard for me to do when I know there’s chocolate in the house. But I am a total sucker for creating healthy food and treats that have stellar visual appeal and flavor. Which is why I also buy fun baking pans like this tartlet pan. I love a tasty challenge with good ingredients. 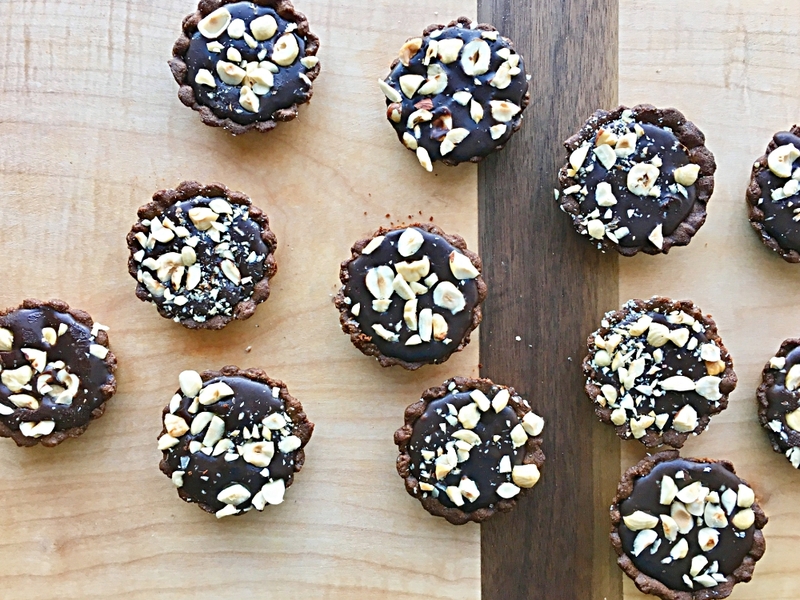 Enter these mighty decadent ganache filled, rich tarts. These got rave reviews from my tasters. Bonus: they are quick to make and they freeze well. 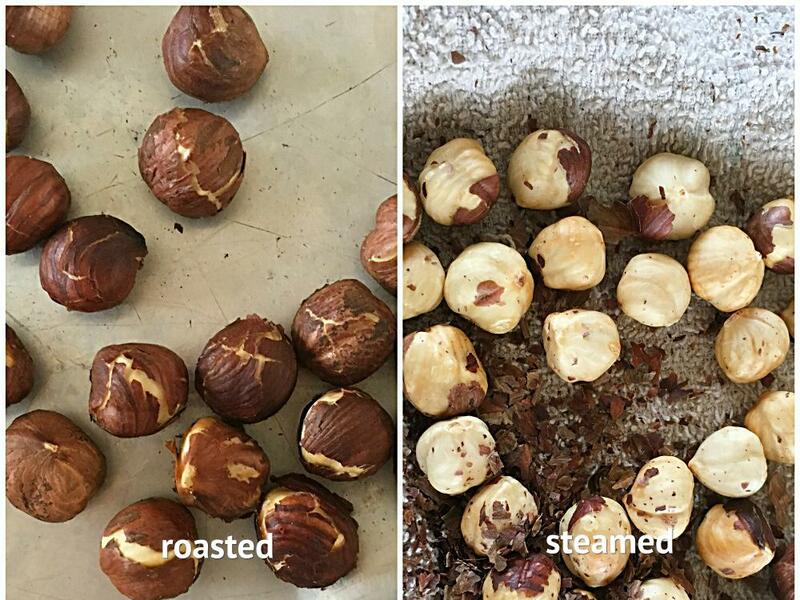 A note about hazelnuts: to remove skins, roast in a shallow pie pan in a 350 degree oven for 10 minutes. Remove and immediately bundle in a dish towel to sit for a few minutes to steam. Rub them together enclosed in the dish towel to remove skins. Now they’re ready to chop and sprinkle on the tarts. It’s Christmas time and I’ve got family coming into town that I’m getting ready for (yay!!) There’s a lot of action in my kitchen but some of it is not making it onto my blog. If you want to see what I’m cooking, follow me on instagram at ag_thefreshtable, where I post quick recipes and pics of what’s on my plate daily. Stay tuned for a fresh and festive appetizer…coming soon. In a food processor, add all of the dry ingredients for the crust. Pulse to combine. Add the palm shortening and honey and pulse to combine until a ball forms. Remove onto a piece of plastic wrap, shape it into a disc, wrap it up and chill for 15 minutes. Preheat oven to 325 degrees. Prepare your tart pan by greasing the pan with coconut oil. 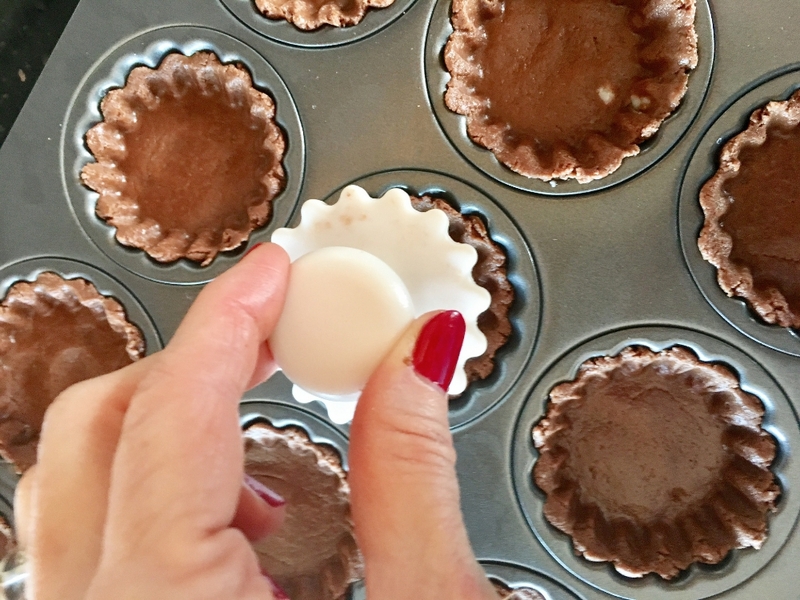 Once dough has chilled, scoop a generous tablespoon of dough into each tart cup. Press dough evenly around bottom and up the sides. Poke the bottoms of each shell. Bake on the middle oven rack for 8-10 minutes. Let cool. While the crust is baking, make the filling…which is so easy. Put the 1/2 cup of chocolate (milk) in a saucepan. Sprinkle gelatin over the milk and let sit 3 minutes. Whisk occasionally while bringing to a simmer and remove from heat. 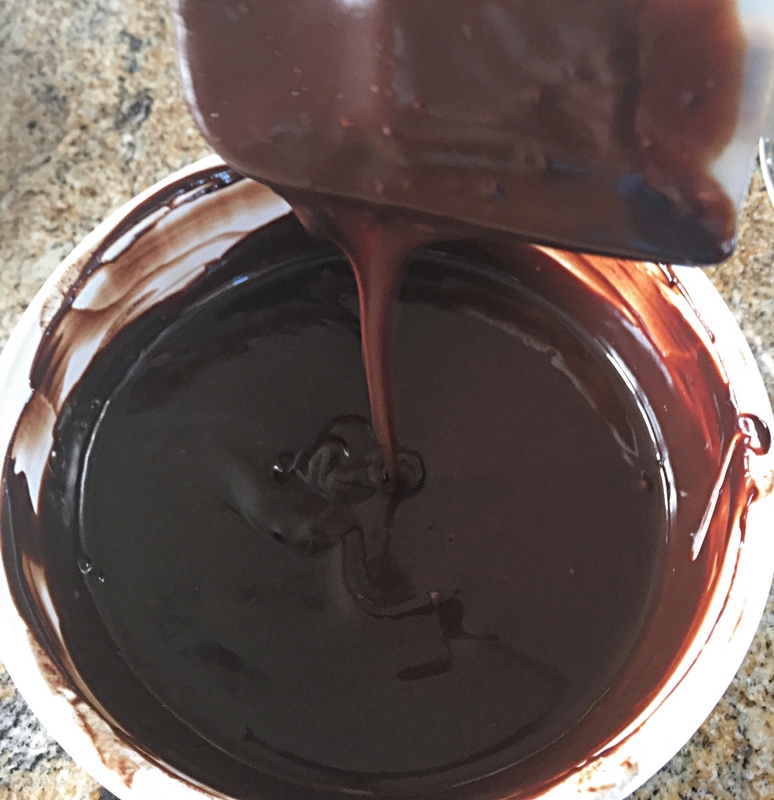 Pour hot chocolate over the chocolate chips and mix until chocolate chips are melted and the ganache has a smooth consistency. It looks grainy at first, but keep stirring until a smooth texture is achieved. Let filling cool for 15 minutes. Gently remove tart crusts from the pan with your fingers. 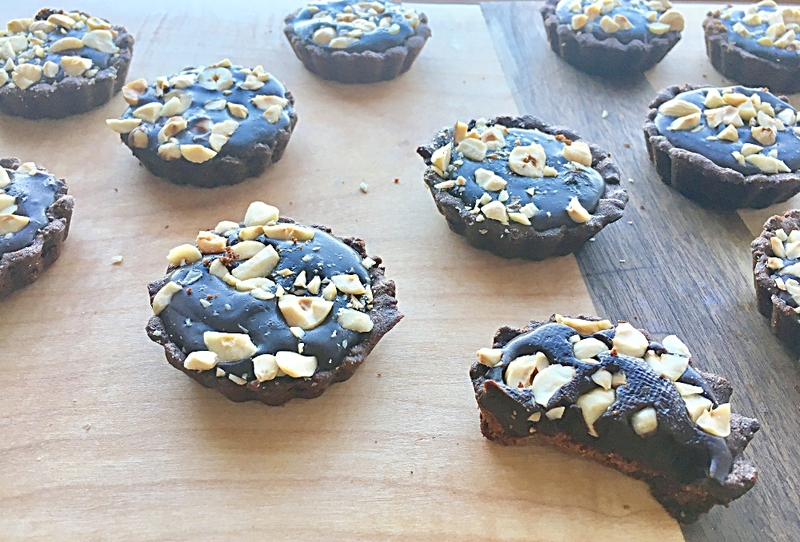 Fill each baked tart shell with the ganache. Sprinkle sea salt and chopped toasted hazelnuts on top. Refrigerate or freeze to set. Can be stored in the freezer until ready to serve.